The Princess Annelise and humble seamstress Erika, born simultaneously and physically identical, as it they were twins. The only difference between them it’s their hair color: Annelise is ir blond and Erika’s is black. By chances of fate, Annelis and Erika meet each other, and they are surprised to see their resemblance. They become good friends without suspicion that their lives must unite for a great adventure. The princess Anneliese, craves freedom from her royal duties, especially when she finds out that a wedding has been arranged to marry King Dominick, a man who she doesn’t love; in order to save her people from the misery into which it has sunk. By the other hand, Erika also has troubles with the dressmaker for whom she works, a malicious and greedy woman. The situation complicated for both of them, but a big surprise changes their lives. 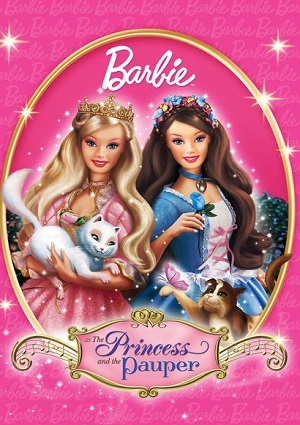 The Princess Annelise and Erika will be united by friendship and danger. Annelise is kidnapped by the evil Preminger, Queen’s Counsel, who plans to call off the princess’ wedding to ask for her hand and marry her, but things won’t prove to be so simple to Preminger, who would see his plans thwarted by Annelise and Erika, who has a lot of resemblance to the princess.